doctor of humanities in ethnology, graduate of the history of art at the University of Warsaw and of the School of Social Sciences at the Institute of Philosophy and Sociology of the Polish Academy of Sciences. 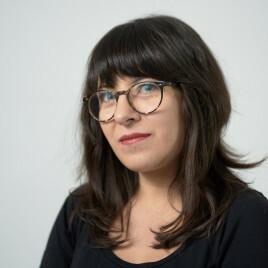 An assistant professor at the Department of History and Theory of Design at the Faculty of Design of the Academy of Fine Arts in Warsaw. Author of the book of interviews Miliard rzeczy dookoła. Agata Szydłowska rozmawia z polskimi projektantami graficznymi and co-author (with Marian Misiak) of Paneuropa, Kometa, Hel. Szkice z historii projektowania liter w Polsce (both books were published by Karakter). In 2018, the Ossolineum Publishing House published a book version of her doctoral dissertation entitled Od solidarycy do TypoPolo. Typografia a tożsamości zbiorowe w Polsce po roku 1989. Agata Szydłowska is also a curator and co-curator of over a dozen exhibitions devoted to Polish graphic design, shown, among others, at Wanted Design in New York and as part of the Tokyo Designers Week.